Welcome home to this beautiful 2 bedroom and 2 bathroom lovingly cared for home. 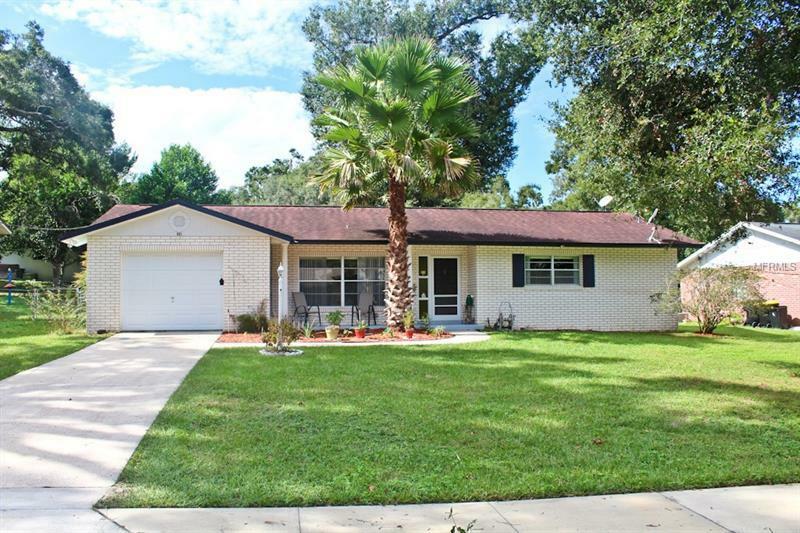 As you walk up the front walkway you are greeted by a mature tropical palm and relaxing front porch. Walking through the front door you will be greeted by an expansive living room and plenty of natural light. Both bedrooms are oversized with beautiful laminate flooring. Kitchen has beautiful white cabinets and plenty of counter top space. Breakfast nook finishes off this cozy kitchen. Out the sliding glass doors you step onto the relaxing back porch that is perfect for any weather. The backyard is fenced and has beautiful grass. This home is close to shopping, dining and entertainment. Schedule a showing today!